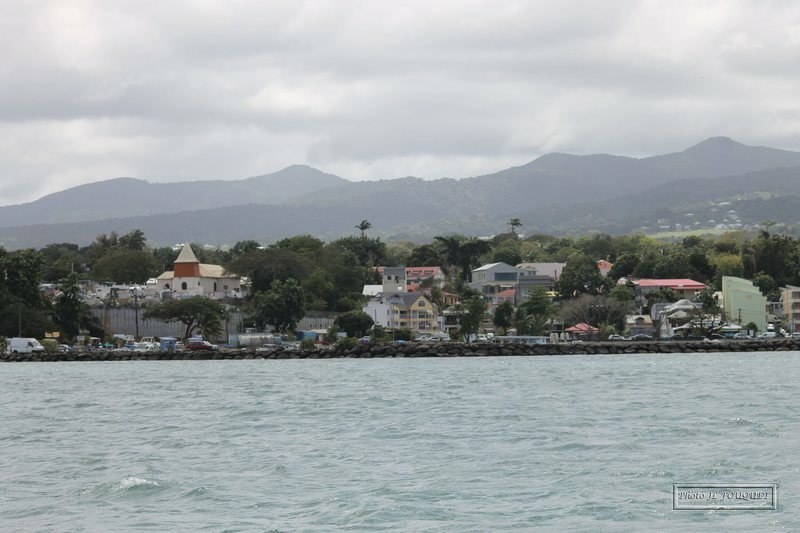 Sainte Rose viewed from the sea. 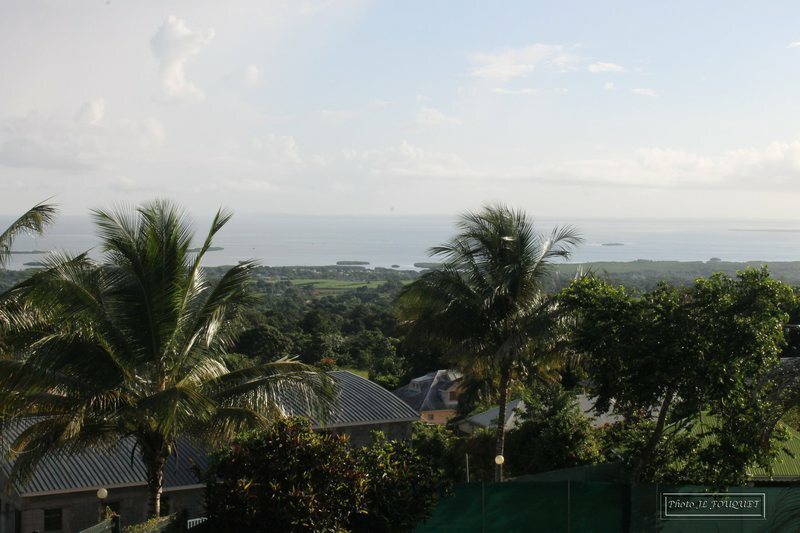 Sainte Rose is located at the northern end of the Basse Terre. 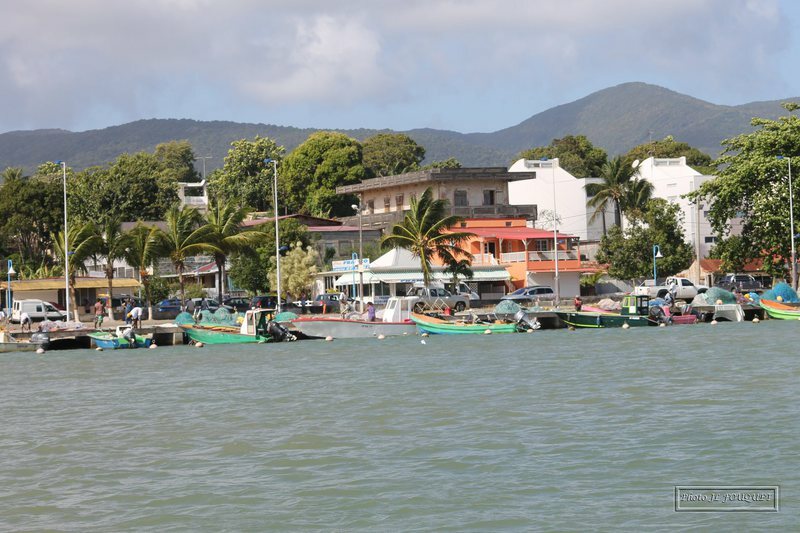 This municipality is the one of the biggest of Guadeloupe, just behind Petit Bourg. The first settlers, 400 French people commanded by Jean du Plessis Ossonville and Charles Lienard de l'Olive landed there in 1635. The name Sainte Rose was given in 1790. 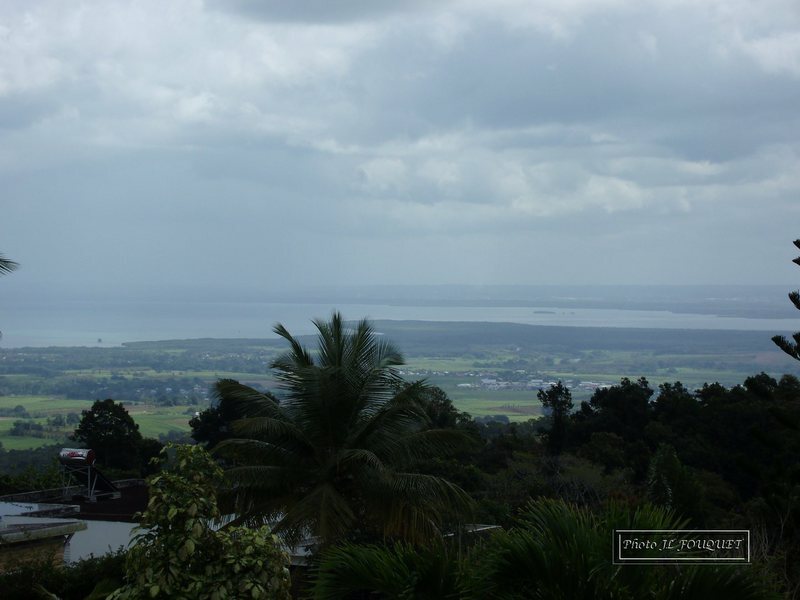 The town includes several sectors among them Nogent, at the southern entrance, Sofaïa inside close to the national park or La Boucan on the east side. 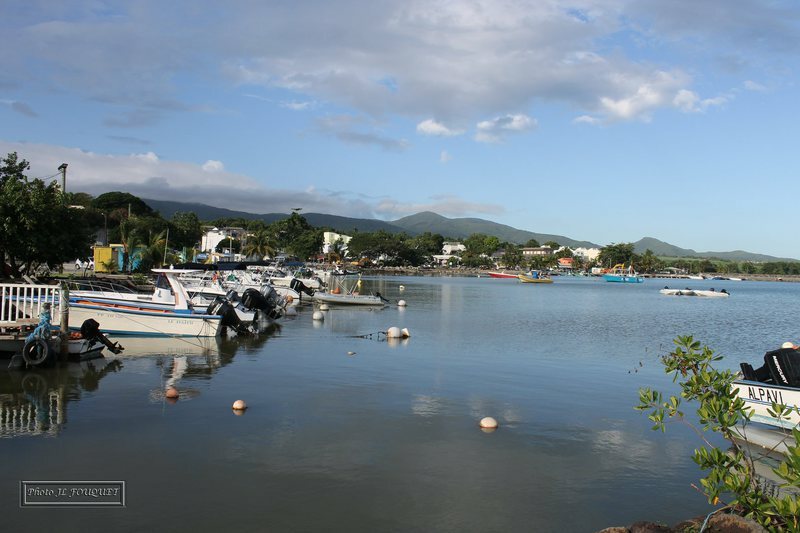 It is the ideal starting point for the islets, mangrove and all tours towards the Grand Cul de Sac Marin. 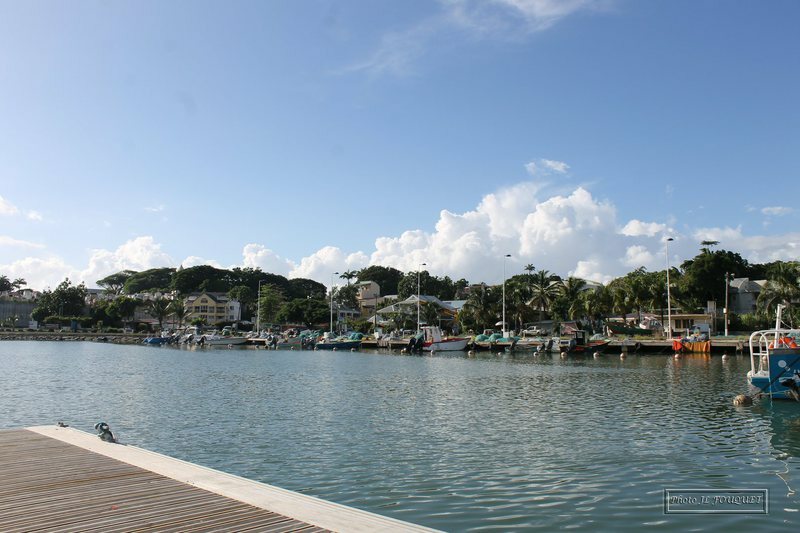 Coming from the South, from Deshaies, we find several remarkable beaches such as Clugny, Anse de l'ile and Les Amandiers. 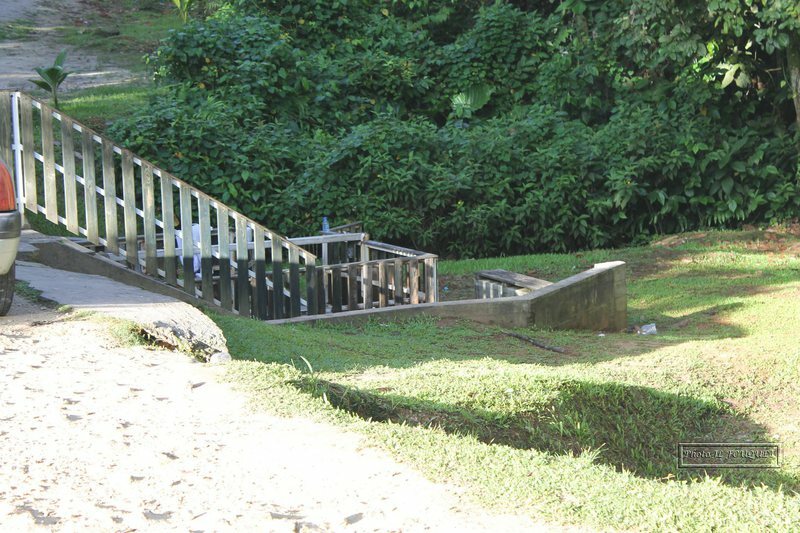 The Anse de l'ile is not supposed to be completely safe for your safety, not well attended. Among these beaches Nogent area with a few historical remains and some some shops, activities and a beautiful seafront but somewhat rocky except for the beaches above. When entering the town a road on the right side brings us to a mandatory visit, the Ecomusée Creole and, at the far end of this road, to the sulfurous showers of Sofaïa. An often muddy and slippery walk leads us toward some natural bath. On this road you can enjoy some great views on the Grand Cul de Sac marin when looking Eastwards. Not taking this road we go to the city center, with a large square and a nearby local market. The church is quite nice and the graveyard on its rear overlooks the harbor. Some notable graves. In the high part the road continues eastwards to La Boucan, commercial area, and at the end Baie Mahaut and La Grande Terre. The waterfront does not offer any interesting sites on this portion. Before La Boucan a route towards the interior leads to the Rum Museum, owned by the Reimonenq distillery, interesting tour also displaying a beautiful insect collection and ships models of varying quality. No photographies allowed! A little further Severin distillery, among sugar cane fields, welcomes you with its small tourist train and boutique.